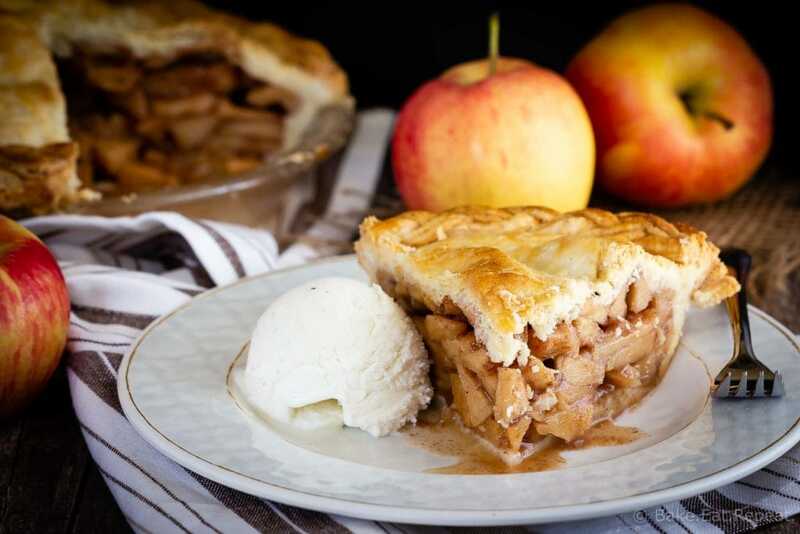 This easy apple pie is a classic dessert that is so much better when it’s homemade! Easy, tasty, and filled with cinnamon apples – it’s always a favourite! Homemade apple pie might be one of my favourite desserts. Flaky, buttery pastry wrapped around cinnamon, sugar, and apples and topped with a scoop of vanilla ice cream – that’s dessert heaven. We’ve all had those slices of apple pie that just aren’t worth the calories though. You know the ones I mean. The pastry is kind of like cardboard with no flavour at all. The apples are crunchy or worse, mushy. Or there’s no cinnamon at all. And I’m sorry, but apple desserts without cinnamon just shouldn’t be a thing. Apples and cinnamon belong together. This easy apple pie is worth the calories. So totally worth it. If you don’t like making your own pastry, just get the store-bought pie shell and fill it with this apple pie filling and it’ll still be fantastic. But if you feel like taking a few more minutes to make this easy apple pie – my perfect pastry is so easy and, yes, perfect. How do you make the best pie crust? I know pie crust is intimidating to some people, but it really shouldn’t be. I usually make my pastry in the food processor (although it’s getting old and doesn’t like to mix that recipe anymore because it’s too full, which is kind of annoying) and it always turns out great. So if you hate cutting in the butter and shortening – just use the food processor and make it easy. Or if you don’t have one, grate the cold butter and shortening. This will accomplish the same effect as cutting it in with a pastry blender but is much easier. This perfect pastry recipe is my absolute favourite for both sweet and savoury dishes. 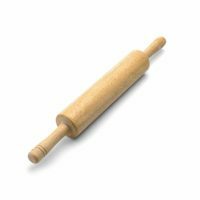 It uses both butter and shortening for the best of both worlds – great buttery taste and a perfect flaky texture. The trick to making pie crust easy to work with is to keep it cold. If it gets too warm when you’re rolling it out it will start sticking and be nearly impossible to shape. So if your pastry is getting sticky – stop and refrigerate it for 10 minutes and then keep going. Also, I’ve found that rolling out pastry on a granite countertop is a bad idea. The granite warms up the dough way too quickly, so I usually make my pie crust on the kitchen table instead. 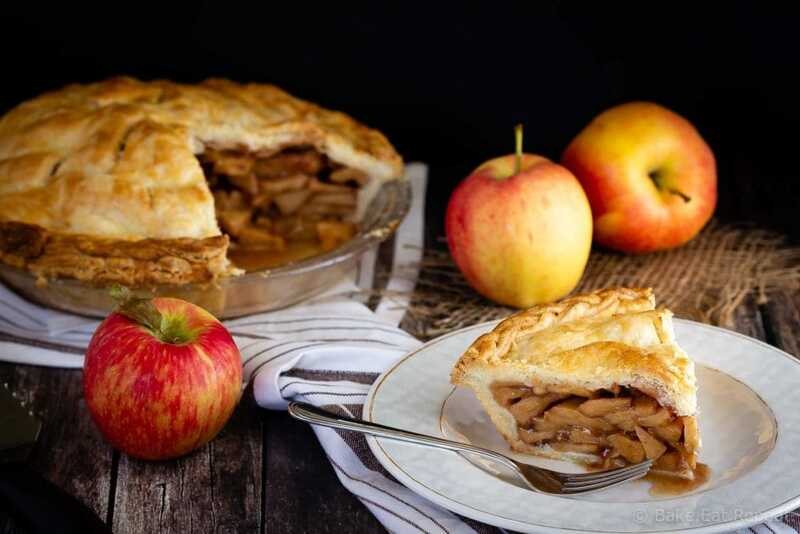 The best apples for apple pie are those that hold their shape well when cooked, such as Jonagold, Fuji, Granny Smith, Macintosh, Gala, or Honeycrisp. A combination of several different kinds of apples is the best way to go. For this pie I used Gala and Honeycrisp apples. How many apples do you need for apple pie? You need 6 cups of peeled, sliced apples for one apple pie. This is typically about 6-7 apples, depending on their size. How do you make homemade apple pie filling? Homemade apple pie filling is so easy to make that you will never buy it again after trying it. So easy and so tasty. After you get all your apples peeled and sliced it mixes up very quickly too. Peeled, sliced apples, lemon juice, flour, nutmeg, cinnamon, and sugar – that’s it. So easy to make and so tasty! Use this recipe for Perfect Pastry if you don’t have a favourite recipe of your own. I’ve never tried a different recipe after finding this one – it’s that great! 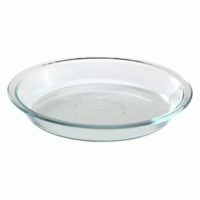 Also, I always use a glass pie plate for baking pies. It will seem like too many apples when you’re piling them into the pie crust, but don’t worry about it, it will be fine. Pile them up and cover them in the top crust, and they will sink together a bit while the pie bakes. If the edges of your pie crust are getting too brown, cover them with some aluminum foil for the last 10 minutes of baking. I don’t usually have a problem with that for this easy apple pie though. Make sure the filling is bubbling before you remove the pie from the oven. It will be bubbling up a little bit through the vents in the pastry if it’s done and the crust should be golden brown. 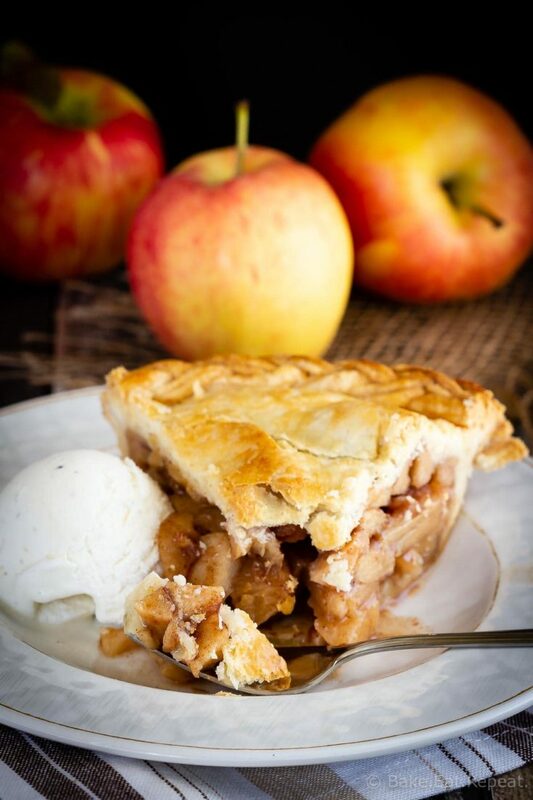 Here are a few more fantastic pie recipes for you: Pumpkin Pie, Raspberry Pie, and Caramel Apple Crisp Pie. 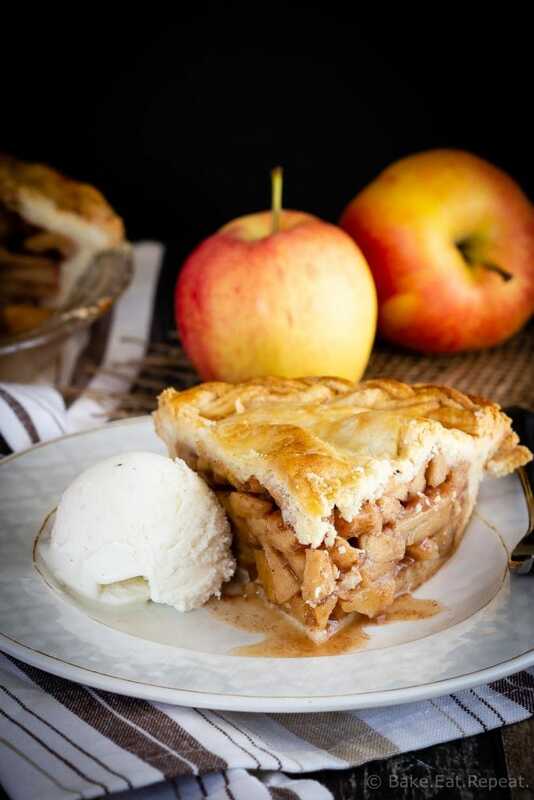 This easy apple pie is a classic dessert that is so much better when it's homemade! Easy, tasty, and filled with cinnamon apples - it's always a favourite! In a large bowl, toss the apples with the lemon juice, flour, nutmeg, cinnamon and sugar. Roll out half of the chilled, lightly floured, pastry into a 12 inch circle. I like to do this between two pieces of wax paper or plastic wrap. 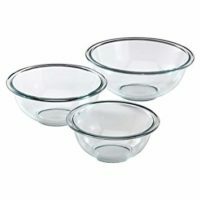 Once it’s rolled out to the desired size you can then peel off the top piece of wax paper, lift up the bottom one with the pastry on it, and flip it over carefully onto a 9 by 2 inch pie plate. Then the other piece of wax paper can be peeled off and the pastry can be smoothed out in the pie plate. Trim the excess with a sharp knife and crimp the edges. Scoop the apple mixture into the pastry shell (the apples will be heaped up quite a bit) and refrigerate the pie while you prepare the top crust. Roll out the rest of the pastry into a 12 inch circle and drape it over top of the apple filling. Press the edges of the pastry to seal it with the bottom crust and trim the excess with a sharp knife. Slice vents in the top of the pie. Whisk together the egg and water in a small bowl and brush it over top of the pie crust. Sprinkle with a bit of granulated sugar if you like. Place the pie on top of a baking sheet and bake at 400 degrees F for 20 minutes. Lower the heat to 375 degrees F and continue to bake for another 40-45 minutes until the crust is golden brown and the filling is bubbling. 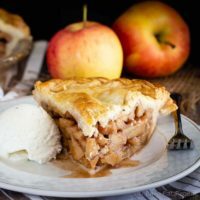 The best apples for apple pie are those that hold their shape well when cooked, such as Jonagold, Fuji, Granny Smith, Macintosh, Gala, or Honeycrisp. A combination of several different kinds of apples is the best way to go. Source: Adapted from my Caramel Apple Crisp Pie. Did you braid the excess pastry and just press it to the edges? The photo is beautiful! Apple pie has always been my downfall, so I’m hoping this recipe will make magic happen. Thank you! Yes that is what I did - braided a bit of extra pastry and placed it along the edge instead of fluting the edge, and I liked the look of it. Easy to do too!